Jesus told the parable of the persistent widow (Luke 18:1-8) to encourage the disciples to pray and not lose heart. He told them that when God’s chosen ones cry out in faith, “he will see that they get justice, and quickly.” No matter what type of group you’re gathering on National Day of Prayer, you can be persistent in prayer with these ideas. Creative Prayer Ministry Night - Organize a night of prayer and creativity where people spend time asking the Lord and searching scripture for images, metaphors and words that they can use to encourage their community — neighbors, coworkers, civic leaders, etc. Work with your church’s creative team (or anyone in your church with creative talents) to help people create drawings, poems, songs or photos from their prayers. Evening Prayer Meeting - Hold an old-fashioned prayer meeting at your church the night of National Day of Prayer. Your church leadership can facilitate the evening, breaking people up into smaller prayer groups while leading the church through various prompts for a set amount of time, or providing a prayer team for people to come throughout the night and ask for prayer. 24 Hours of Prayer - Encourage your church family to pray for 24 hours straight by having people sign up for 30 minutes or an hour of prayer throughout the day. Genius Tip: Create a 24 hours of prayer online sign up to coordinate volunteers. Multilingual Prayer Room - If your church community is home to a variety of nationalities and multilingual people, designate a prayer room where volunteers come pray in different languages throughout the day. Obviously, those who only speak English are also free to pray as much as they want! You could put up a map and have people mark their country of origin or a country that they prayed for during the day. Community Prayer Walk - Outline various walking paths — the neighborhood around your church, a local college campus, nearby government buildings — and have prayer teams walk through these communities, continuously praying for the people who live, work and learn in those spaces. Prayer for Church Leaders - Church leadership teams spend a lot of time praying for their church family. Take a day to flip the norm and let small group leaders, deacons, elders, pastors, teachers, etc. receive prayer from the people they lead. You could organize a night of prayer over these leaders or even assign prayer buddies. Congregants can start a consistent relationship of prayer with their leaders, interceding for them and committing to ask for specific prayer needs. Prayer Breakfast or Lunch - Since National Day of Prayer always falls on a Thursday, organize an early morning prayer breakfast (it’s the best way to start the day — just look at Jesus in Mark 1:35!) or an hour of prayer during lunchtime. This can be helpful for members of your church family who work during the day but who still want to still gather and pray. Missionary Prayer - Plan a prayer event where you lift up missionaries that your church supports. Ask them how they specifically need prayer and have your church pray over individual needs. 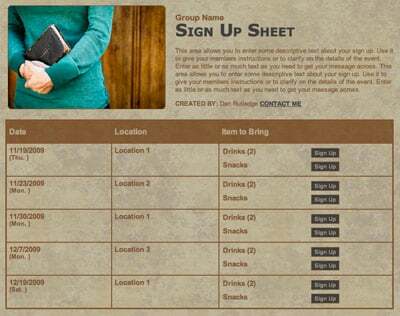 You could organize people in table groups and give each table a specific missionary to pray for. Refugee and Immigrant Prayer - Host a prayer gathering with community members who have come to America from other countries. You can pray for events happening in the countries they emigrated from and work with organizations that serve immigrant communities to determine specific needs they may have (financial, transportation, legal situations). Support your prayer event by volunteering to meet those needs — you may just be an answered prayer! Areas of Influence - Gather your community to pray over the seven societal areas of influence — family, education, religion/church, government, media, business and entertainment — on local, national and international levels. You can do this throughout the day and assign different areas to different people in your group. 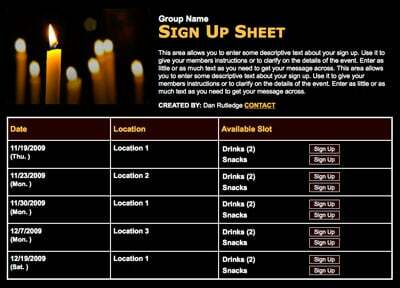 Genius Tip: Create a sign up to coordinate the different areas of prayer. Prayer Treasure Hunt - Go out into your community to pray with people and offer them encouragement. A fun way to organize the day is to start by praying together as a group and asking the Lord to lead you to the right people, and then praying with people as you feel led. It will be awkward, but people are often grateful that someone would care enough to pray with them. You can come back together at the end and share stories of God’s faithfulness. Prison Prayer - Work with chaplains at nearby prisons or prison ministries to determine what opportunities there are to pray for and with inmates. Meeting for prayer can be a great way to start meaningful relationships with those in prison ministries. Take your group to serve and pray or simply meet together and pray for the needs that those ministries share with you. Hospital Encouragement Station - Go to pray with and minister to people in a nearby hospital. Ask hospital staff about setting up an “encouragement station” in or near their chapel or prayer room. You can bring some baked goods and offer to pray with people in waiting rooms or with families of those sick and injured. Interfaith Prayer Gathering - Contact Jewish synagogues, Mormon temples, Muslim mosques and other churches to plan a gathering where people of different faiths in the same community can meet and join together in prayer. You could even organize a big meal, and people can bring food traditional to their customs and cultures. Neighborhood Dessert Potluck - Invite neighbors into your home for a dessert potluck and time of prayer for your community, local events and leaders, etc. People can bring desserts and prayer requests! First Responder Gifts - Put together baggies with candy, notes and other treats to give to first responders. Visit firefighters, EMTs, police officers and other public servants to hand out the baggies and offer to pray with them. YMCA Prayer Station - Your local YMCA is a great hub for meeting and loving on people in your community. Talk to staff about setting up a prayer station outside or in the lobby, where your team can offer to pray with anyone who comes through. You can also give out scripture cards or notes of encouragement to brighten someone’s day. Prayer Bible Study - Study the prayers of Jesus with your small group, looking at how he talked with his Father and discussing ways he gave us an example of how to pray. The High Priestly Prayer in John 17 is a great place to start. Examine how you can glean from the prayerful relationship between Jesus and God in your relationship with the Father. Family Prayer - As a way to reinforce how the church is family, take a day to pray with and for each other’s families. Make it a fun family event with food and games, all while encouraging families to regularly pray together. Genius Tip: Do some icebreaker activities or even have a night of Bible trivia. 31-day Prayer Map - Encourage your small group to pray for all 50 states and U.S. territories (D.C., Puerto Rico, Northern Mariana Islands, U.S. Virgin Islands, American Samoa, Guam) throughout the month of May. As you pray together, you can color in those locations on a big map. Service and Prayer - If your small group has a service partner, take National Day of Prayer to pray with that group or organization, asking them how you can specifically pray for them. They can also pray over your group! Psalm Prayer - The psalms provide a great example of an intimate prayer relationship with God through many different seasons of life — they’re filled with praise, lament, thanksgiving and honest questioning. Read through the book of Psalms as prayers with your small group. You can pair up and pray different psalms over each other or use the day as a way to kick off a consistent personal quiet time of prayer and psalms. Potluck Prayer - 1 Corinthians 14:26 says, “When you come together, each one has a hymn, a lesson, a revelation, a tongue or an interpretation. Let all things be done for building up.” Have your small group come ready to pray different words of encouragement, exhortation and edification over each other. You can also share how the Lord has answered prayer! 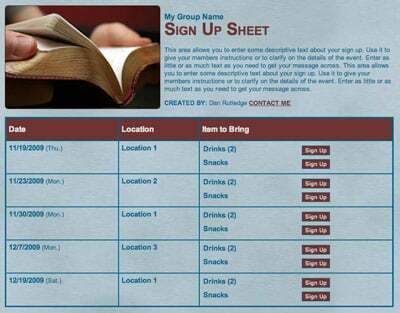 Genius Tip: Bring your prayer potluck full circle by also organizing a food potluck with an online sign up. Pray Like This… - Go through the Lord’s prayer as a small group and study how Jesus teaches us to pray. Discuss the context in which Jesus taught about prayer in Matthew 6 and Luke 11, and how prayer relates to so many other things Jesus taught — giving to the needy, fasting, storing up treasures in heaven and asking for more of the Holy Spirit. Intercession Board - Have small group members write and pin prayer requests on a bulletin board — from personal to global. You can pray for different requests and even take home a few notes each and continue to pray over them. Prayer and Fasting - As a small group, fast together during National Day of Prayer. If some people are not able to abstain from food, encourage them to fast from something else they do regularly (social media, watching sports, etc.) for 24 hours to focus on prayer. Carolina Grace Kennedy is navigating adult-ish life in Charlotte. She loves seeking justice for marginalized people, serving at her church and pretending she can sing like Ariana Grande.